Topics: Cymraeg, Departments & Services, The University, Employment At Aberystwyth, School & College Liaison, and Conferences & Holidays. dns.yale.ac.uk, dns1.aber.ac.uk, and dns2.aber.ac.uk are some of its 4 Nameservers. 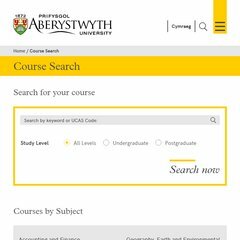 It is hosted by University Of Wales Aberystwyth (Wales, Dyfed,) using Apache web server. Aberystwyth.ac.uk's IP address is 144.124.16.237. PING www. (144.124.16.237) 56(84) bytes of data.